While photographing the vibrant reds, I found a few individuals that were white with pronounced red accents. A day after I’d prepared this post up to the second picture I happened to look back through my recent archive and was reminded of some phlox I’d photographed on March 21st and then forgotten about, given the large number of wildflower displays we kept seeing. 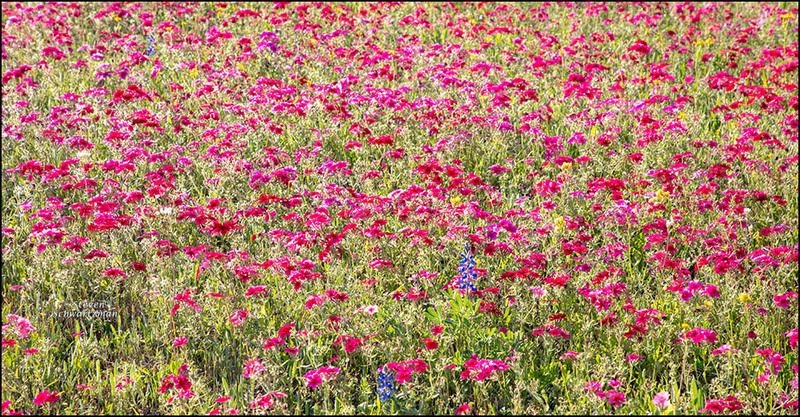 On TX 80 north of Nixon that day the color of the phlox was mostly between ultra-vibrant magenta and super-saturated red. Here’s some Texas toadflax (Nuttallanthus texanus) with Indian paintbrushes (Castilleja indivisa) and Nueces coreopsis (Coreopsis nuecensis) on the grounds of the Christ Lutheran Church in New Berlin on March 18th. Not wanting want to slight the two species in the background, I’ve added one portrait apiece of those other wildflowers photographed on the same visit to the churchyard. This reminds me now of the venerable aphorism—so venerable I just made it up*—that every portrayal is a betrayal. In other words, a portrait is only a person’s representation, necessarily limited, of something else; a portrait isn’t the portrayed thing itself. We needn’t even get that philosophical: these pictures obviously differ from the way I saw the scenes with my eyes and brain when I was there. I’ve processed each photograph with software to make it look pleasing, and that also is mutable: sometimes even by the next day I readjust the settings because my sensibilities have changed. The third image, processed four days later than the first, came out moodier. People in the milieu of “art” photography might exhibit the third photo but not the first: when knocking on those gallery doors, brightness need not apply. * After the phrase “Every portrayal is a betrayal” popped into my head, I did a Google search for that exact phrase and got a single hit, in Humid, All Too Humid by Dominic Pettman. Some might say there’s nothing new under the sun. Well, sometimes there is, but not this time. 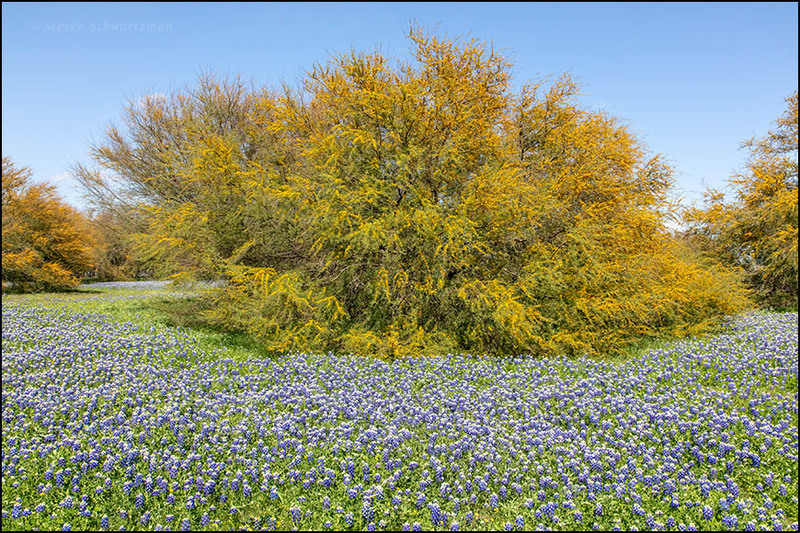 When I showed you the grounds of Cedar Ridge High School in Round Rock last spring, the bluebonnets (Lupinus texensis) had done their thing but the huisache trees (Vachellia farnesiana) had not. When I returned on April 4th this year, both were in their flowering prime. 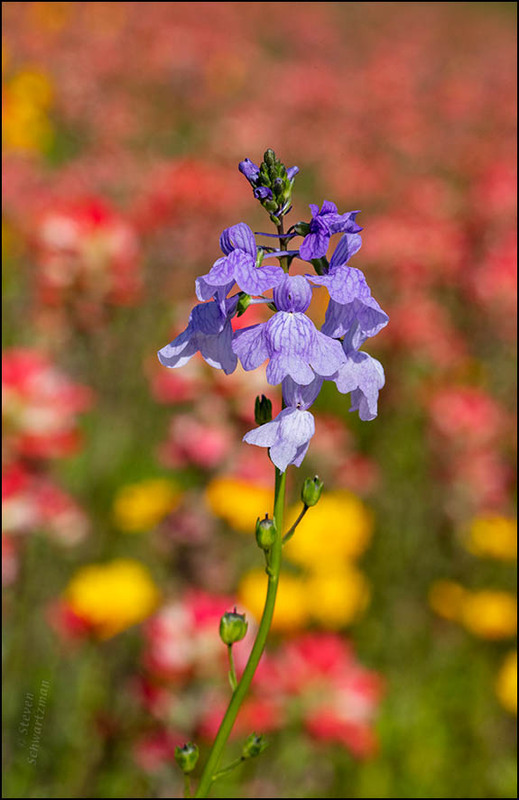 Unlike the huisache surrounded by bluebonnets that I found near Poteet two weeks earlier, which was far away in a pasture made inaccessible by barbed wire, here I could wander freely (while stepping carefully among the bluebonnets) to get close and try out varied compositions. Below is one such. 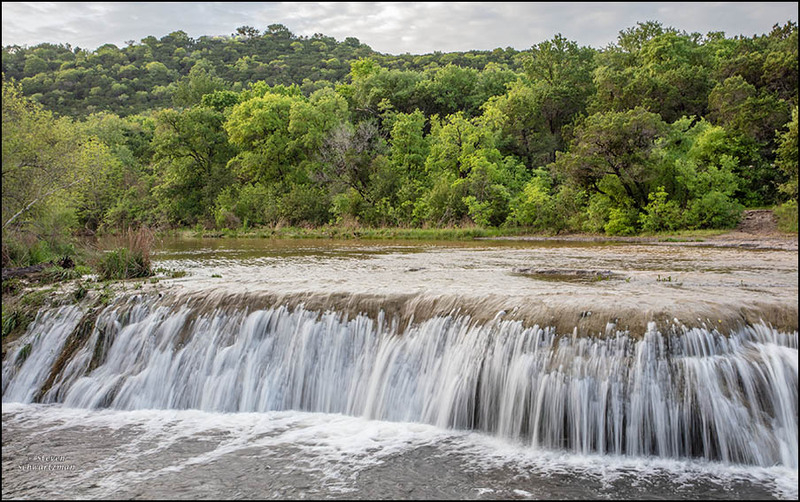 Note the white bluebonnet at the bottom. Unfortunately I can’t show you the combined aromas of bluebonnets and huisache blossoms. I called the school to ask how the property came to look so good. 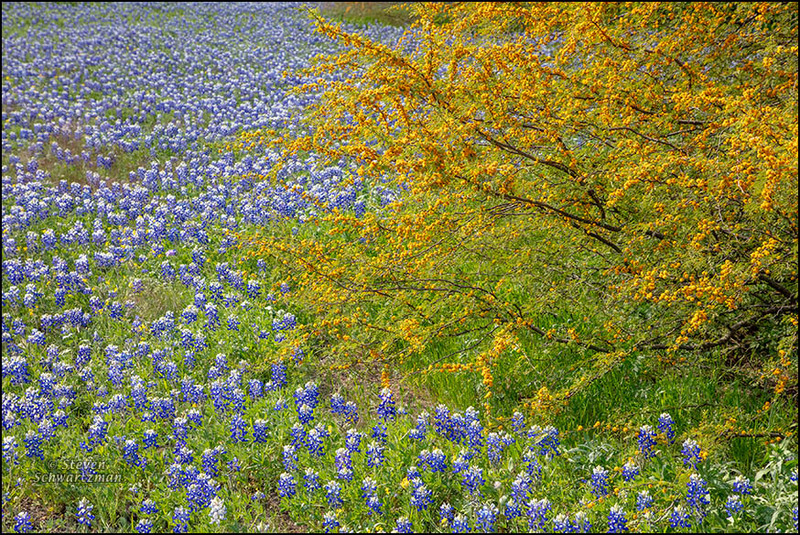 The person who answered the phone said that the bluebonnets on one side of the entry road had always been there, whereas people replanted the ones on the other side after construction of the auditorium messed up that part of the colony. All that Cost cost us on April 2nd when we visited the tiny town in Gonzales County some 90 miles south of home was time and gasoline. 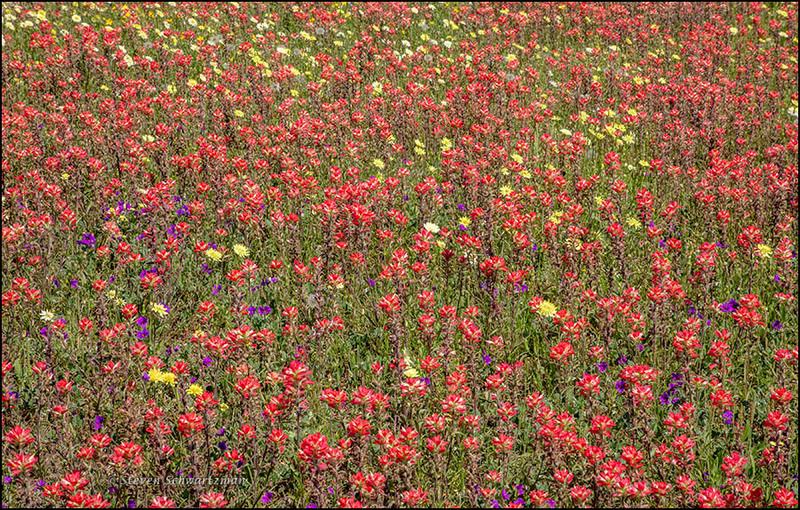 Behind the First Shot Monument we found a great mix of Indian paintbrushes (Castilleja indivisa), Texas dandelions (Pyrrhopappus pauciflorus), and Texas stork’s bills (Erodium texanum), as shown in the first photo. 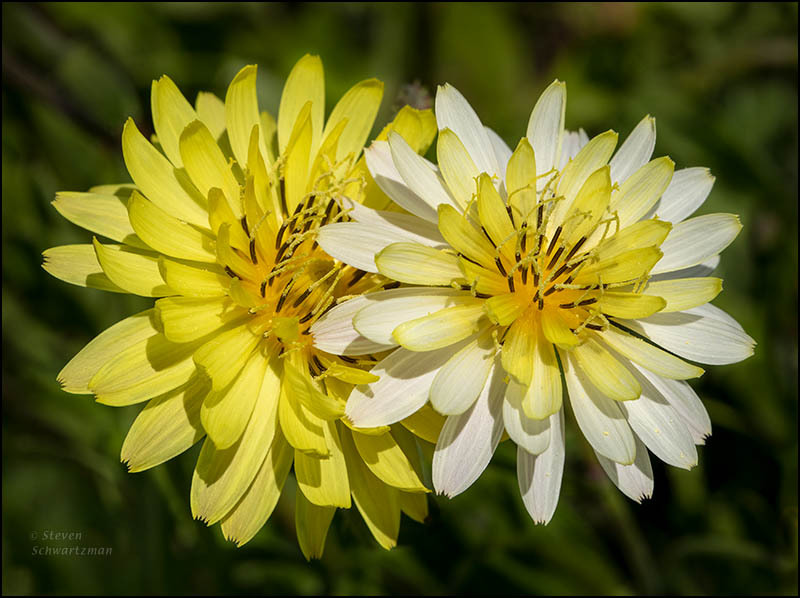 While walking around I noticed two contiguous Texas dandelions, one the usual color and the other a yellow-white combination. I hope you find this touching pair touching. 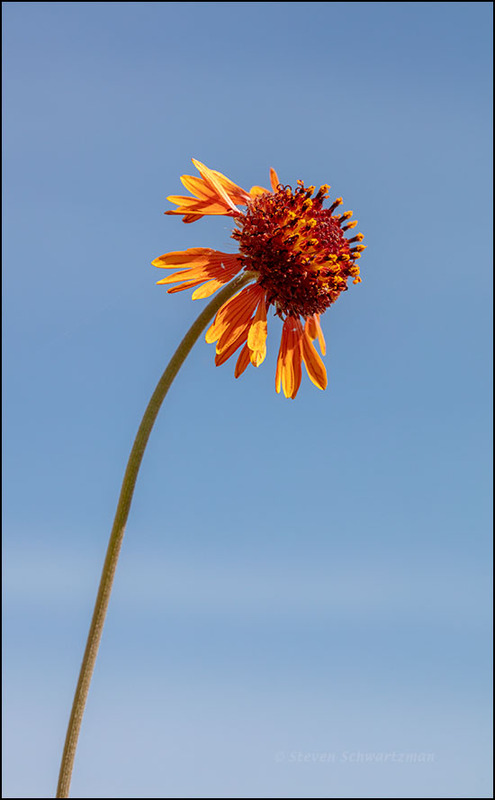 Also at no extra cost I got the chance to see a few pincushion daisies, Gaillardia suavis, a species that for whatever reason rarely puts in an appearance in Austin even though it ranges from Mexico to Kansas. 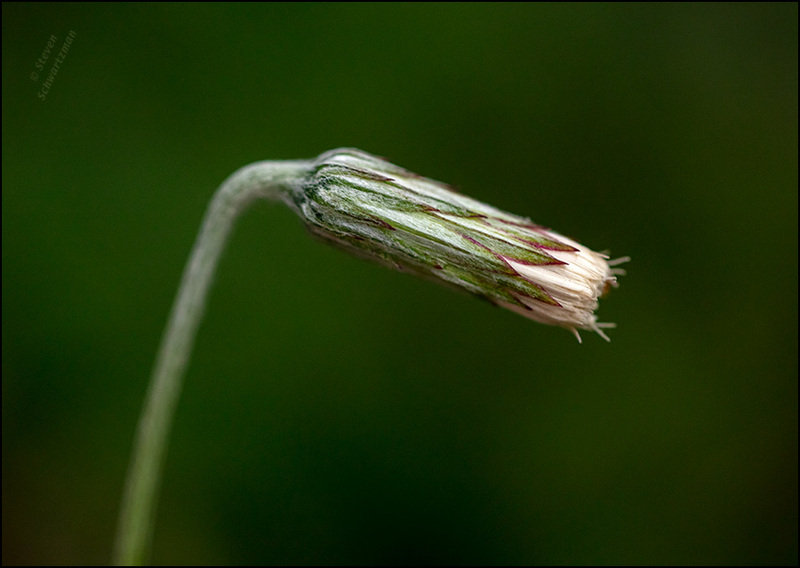 Each solitary flower head grows at the tip of a bare stalk as much as two-and-a-half feet long. Add this wildflower to the svelte greenthread and gaura you saw here recently. 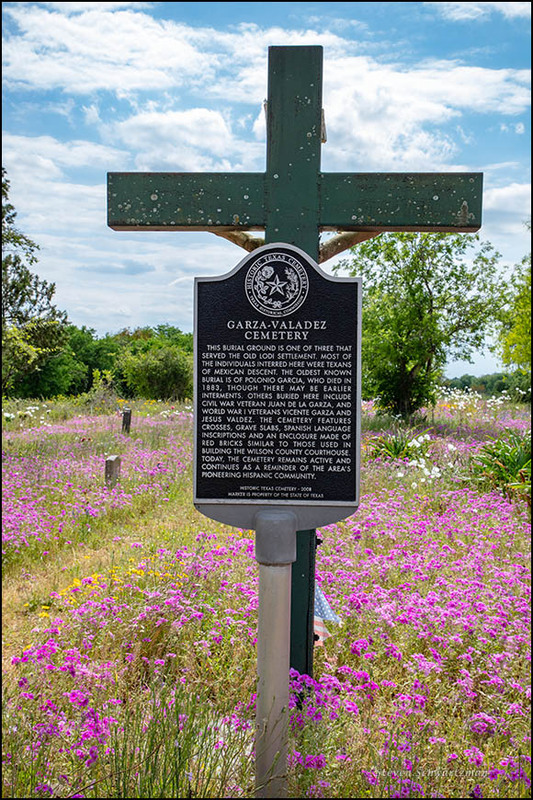 The fifth and last wildflower-covered burial ground we visited last month was the Garza-Valadez Cemetery in Floresville. On March 27th we’d left the main city cemetery and the downtown and were beginning to head back to Austin when on a whim I stayed on 4th St. for a while instead of cutting over to US 181 on 10th St. 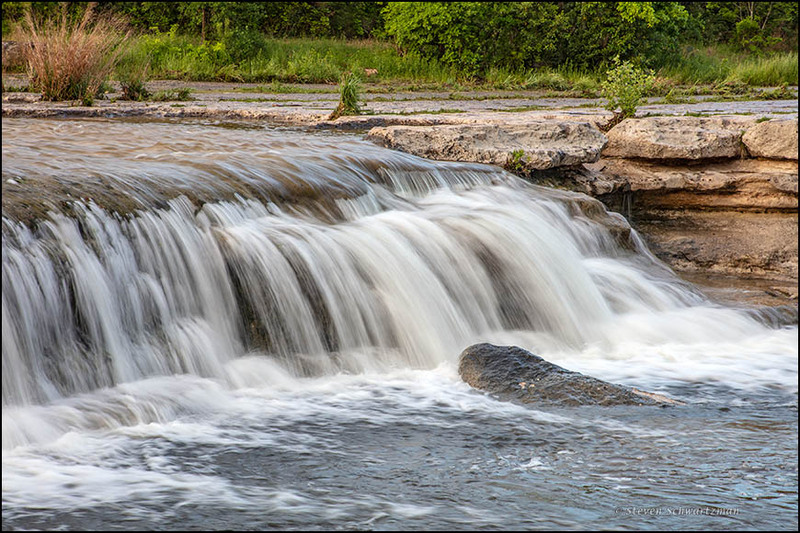 Without that whim we’d never have known about this place. 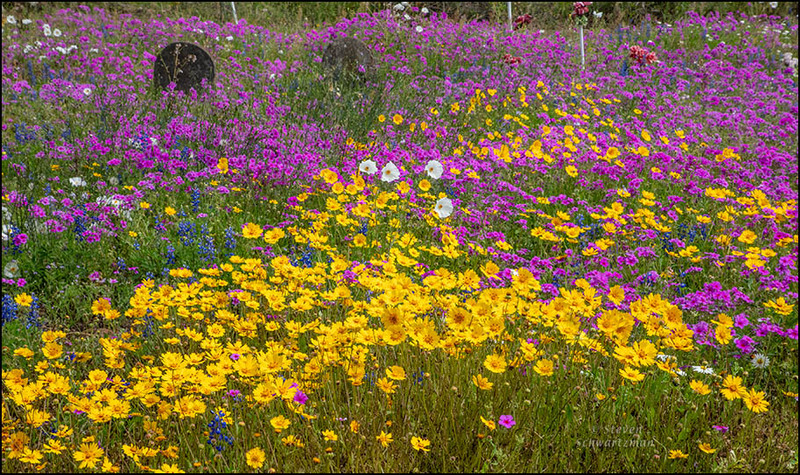 Even better than the cemetery itself was the wildflower meadow behind the house next door. I couldn’t go in there so I had to content myself with shooting over the fence with a telephoto lens zoomed to 400mm. And now for the colorful botany lesson. The white flowers were white prickly poppies (Argemone albiflora). 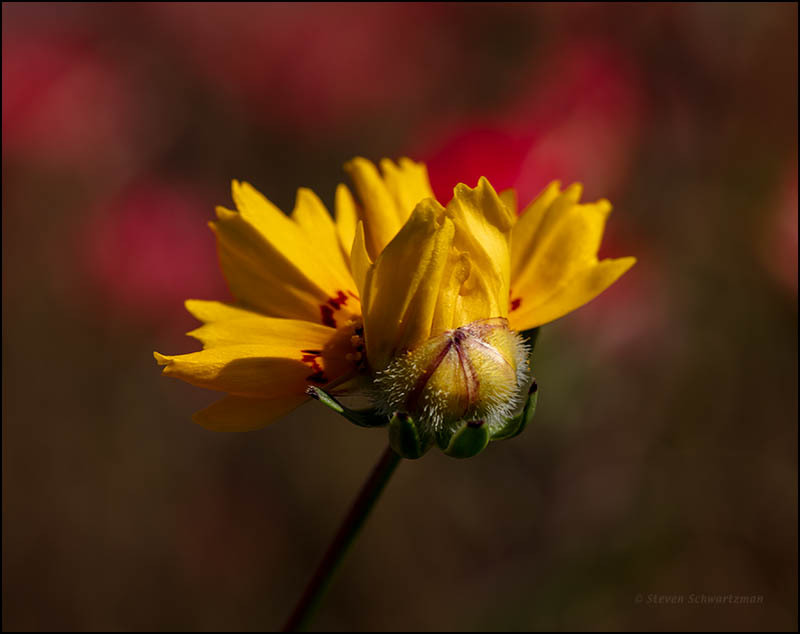 The yellow were Nueces coreopsis (Coreopsis nuecensis). 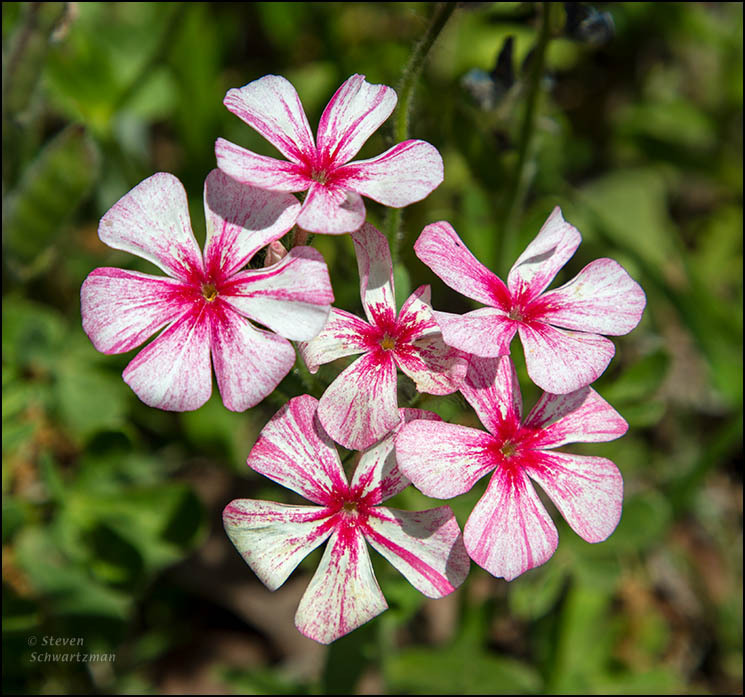 The magenta were a species of Phlox. The blue were sandyland bluebonnets (Lupinus subcarnosus). 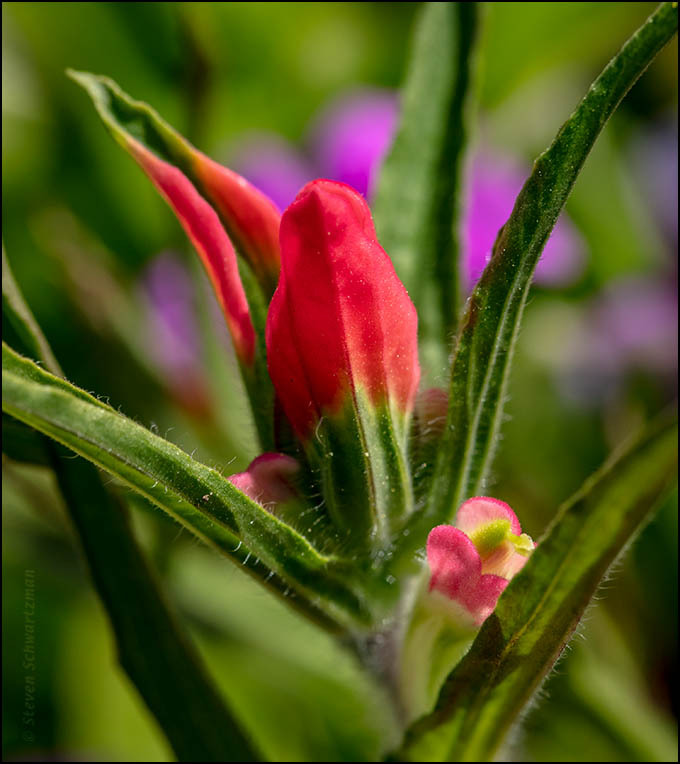 The red were Indian paintbrushes (Castilleja indivisa). Above is a chiaroscuro portrait showing less than a full puff of silverpuff (Chaptalia texana) in the heavy shade beneath some Ashe juniper trees (Juniperus ashei) on Floral Park Dr. in my neighborhood on March 30. 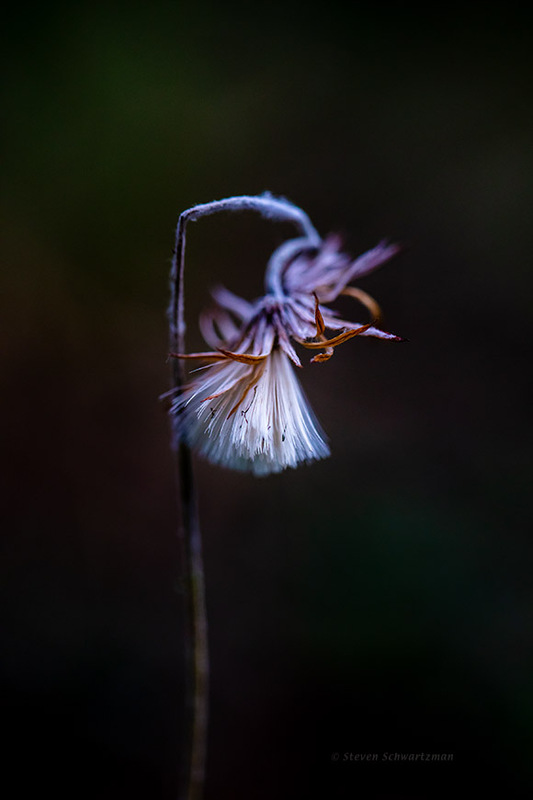 It’s been a good while since this species has appeared here, so below from the same photo session I’ve added a reminder that silverpuff’s flower heads are cylindrical, tend to nod, and stay mostly closed.